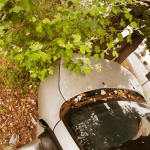 I’m Ed Smith, a Sacramento auto accident lawyer. Car accidents are increasing in California along with fatalities, according to the National Safety Council. Driver error and unsafe driving practices contribute to the rise, despite safety measures in place across the state. We all know that cell phone usage while driving has increased the number of auto accidents. It is hard to drive anywhere without noticing another motorist on their cell phone. We might be guilty of the same thing ourselves. Other causes of car accidents remain the same. Those causes include people driving drunk or otherwise impaired, motorists speeding and individuals driving while tired. Reckless driving: This refers to driving without regard for others on the roadway. Aggressive driving can include speeding, running stop signs or red lights, tailgating and weaving through traffic. Fatigued driving: The National Sleep Foundation reported that 60 percent of drivers have admitted to being behind the wheel of a car while feeling drowsy. Thirty-seven percent admitted to falling asleep while driving. Poor vehicle maintenance: Maintenance is essential for motor vehicles, particularly the brakes and tires. Bad brakes affect the stopping power of the car. Bald or poorly inflated tires can lead to a blowout. Drunk driving: Drunk drivers are a problem across the country, causing 10,497 fatalities in 2016, according to the National Highway Traffic Safety Administration (NHTSA). Sacramento, in 2015, reported 1,080 arrests of drunk drivers, about one-quarter of the number of accidents with injuries and fatalities. Speeding: In 2015, the California Office of Traffic Safety (OTS) noted 4,502 accidents in Sacramento that caused fatalities and injuries. Of those, 1,179 involved speeding. This placed Sacramento second highest in the number of speed-related crashes among 15 California cities of a similar size. Weather conditions: Although drivers should realize that they need to slow down in adverse weather conditions, some don’t. This means those drivers can lose control of their car. This may result in reduced stopping power because the roads are wet or icy. Vehicle defects: Defects in a motor vehicle such as defective parts or equipment can cause accidents. Design, manufacturing or warning defects that contribute to a crash fall under auto products liability. There are things a driver can do to help protect themselves and their passengers from accidents. These expert tips won’t stop all potential threats but can add to your safety. Use your seat belts. Seat belt usage has been rising over the years and is proven to lessen injuries in a motor vehicle accident. In 2015, the use of seat belts was estimated to have saved almost 14,000 lives. Avoid driving late at night if possible. Drunk drivers are most apt to be on the road during nighttime hours, especially on weekends. Keep a safe distance between your vehicle and the one ahead of you. This safety measure allows a car to stop or slow down without striking the vehicle ahead. It also gives a driver the time to take an evasive maneuver if necessary. Use extra caution when approaching intersections or getting on and off freeways. Many accidents happen at intersections because of negligent drivers. Be sure to look in both directions, obey traffic laws and yield when it is required. Many crashes occur at on ramps and off ramps. Use caution when sharing the ramp with other vehicles and avoid speeding. 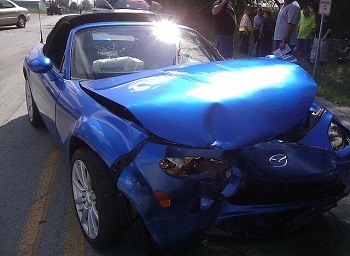 I’m Ed Smith, a Sacramento auto accident lawyer. Car accidents caused by negligent drivers can be financially compensated with the help of an experienced injury lawyer. Please phone me at (916) 921-6400 for my friendly and free advice. Outside the area, you may reach me at (800) 404-5400. I’ve handled cases involving traumatic brain injuries and wrongful deaths since 1982 to obtain fair compensation for accident injuries. I am a Million Dollar Advocates member. This group only offers membership to trial lawyers with verdicts/settlements for clients of one million dollars or more in value. To find out more about some previous cases we have handled, please visit Verdicts and Settlements.